Consumer Watchdog is calling for Congressional hearings on the matter and is prosecuting lawsuits on behalf of Hyundai owners who were misled. If you are a Hyundai or Kia owner, you can tell us your story here. 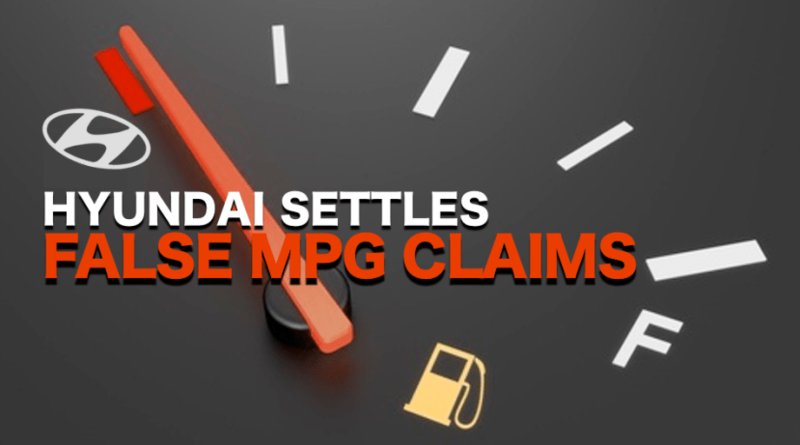 The Ninth Circuit Court of Appeals has rejected a settlement negotiated by Hyundai and Kia with dozens of plaintiffs law firms over claims that Hyundai and Kia vehicles did not get the miles per gallon promised by the companies. Consumers who purchased Hyundai and Kia cars based on the companies’ misrepresentations about the fuel economy of several of their 2011, 2012 and 2013 model year vehicles will not receive any money from the government consent decree with the auto makers announced today, said advocates at Consumer Watchdog. Read the related news release here. Consumer Watchdog attorneys representing consumers dissatisfied with the proposed nationwide settlement of a class action against Hyundai and Kia over misrepresenting the fuel economy of their vehicles are continuing their advocacy this morning in federal court in Los Angeles, seeking additional improvements in the settlement. A class action settlement negotiated by Hyundai and Kia following the companies’ 2012 admission that they lowballed fuel economy numbers for over a dozen 2011–2013 vehicles is structured to prevent consumers from collecting the money they are owed and should be rejected, consumer advocates told a federal court. Read the related legal update here. Attorneys at Consumer Watchdog and a group of law firms representing owners of Hyundai and Kia vehicles whose fuel economy (miles per gallon) was misrepresented by Hyundai and Kia say the terms of a proposed settlement between the vehicle manufacturers and two other plaintiffs’ law firms should be improved, according to a lengthy analysis prepared by the Consumer Watchdog team. Consumer Watchdog will closely scrutinize the formal settlement, filed on December 23, between Hyundai, Kia and two law firms that would resolve dozens of lawsuits brought on behalf of 900,000 consumers whose gas mileage did not meet the miles per gallon advertised by the South Korean car companies, the California-based non-profit organization. On August 21, Henry Meier of the Daily Journal wrote about the proposed settlement: As the case inches forward in federal court, battle lines in the fight over fuel economy claims made by automobile manufacturing giants Hyundai Motor Co. and its subsidiaries Hyundai Motor America and Kia Motors America Inc. are shaping up in unusual ways. Read the LA Daily News article in its entirety. On February 14, Federal District Court Judge George H. Wu held an initial hearing on class action lawsuits filed against Hyundai and Kia across the country for falsifying gas mileage estimates. The purpose of the hearing was to establish a schedule for the litigation. At the hearing, however, a lawyer in one of the lawsuits against Hyundai announced that he had already reached a settlement with the companies. The Consumer Watchdog legal team asked for more information on this unexpected development. A special panel of federal judges meeting in Orlando, Florida held a hearing today on a request by Consumer Watchdog's lawyers to centralize, in a Southern California federal court, all lawsuits related to Hyundai’s misrepresentation of vehicle mileage. In addition to a lawsuit brought on behalf of Hyundai owners by a team of nationally recognized lawyers assembled by Consumer Watchdog, more than thirty similar lawsuits have been filed across the country. A decision is expected within a few weeks. United States Senator and Commerce Committee Chairman John D. Rockefeller writes the president and chief executive of Hyundai Motors America to answer questions about the company’s false “Mile Per Gallon” window sticker claims that were exposed by an Environmental Protection Agency audit. Consumer Watchdog sends a letter calling upon leaders of the House and Senate Commerce committees to hold hearings into the revelation by the EPA that for the first time in American history large numbers of vehicles carried window stickers with false MPG claims. Consumer Watchdog attorneys and co-counsel Cotchett, Pitre & McCarthy, LLP, Cuneo Gilbert & LaDuca, LLP and Dreyer Babich Buccola Wood Campora, LLP file a request with the United States Judicial Panel on Multidistrict Litigation to transfer and consolidate all related Hyundai and Kia MPG cases in a single district court in Southern California. The request to centralize the litigation was filed in response to reports of numerous similar lawsuits filed across the nation. Download a PDF of the Motion to Transfer here. Download a PDF of the case filing here. The Environmental Protection Agency (“EPA”) announces that an audit of fuel economy data provided by consumers and Hyundai to the EPA showed that Hyundai overstated fuel economy for the 2011-2013 Elantra and other vehicles. The EPA action confirmed Consumer Watchdog's allegation that the cars displayed a window sticker with false information concerning the fuel efficiency of the vehicle, and its advertising based on those inflated values was patently false. Consumer Watchdog sends a follow up letter to Hyundai Motor Company’s Seoul-based President, Eok Jo Kim, and Hyundai US CEO Krafcik, seeking clarification after a copy of a Super Bowl advertisement appeared on Hyundai's YouTube page without the “40 MPG Elantra” claim on screen, but with the “40 MPG Elantra” claim made on the YouTube side bar. On February 2, 2012, Hyundai confirmed to Consumer Watchdog that it would not include its “40 MPG Elantra” claim in its 2012 Super Bowl advertisement. Hyundai contended, however, it was not influenced by Consumer Watchdog and continued its pervasive use of its 40 MPG advertising. Consumer Watchdog sends a letter to President Obama (and EPA Administrator Jackson) requesting that the President require the EPA to conduct new automobile fuel economy testing, rather than continue to allow automobile manufacturers to self-test and report fuel economy numbers, and also to reevaluate its testing procedures.